The problem with the credit-card industry isn't just credit-card companies  it's you too. This week the Senate takes up a bill that would seriously clamp down on some of the industry's most unsavory practices, a piece of legislation that President Obama has said he wants on his desk by the end of the month. The bill, which builds on rules issued by the Federal Reserve Board and other agencies at the end of last year, would do away with interest-rate hikes on existing balances, prohibit issuers from putting customer payments toward lower-rate balances first and abolish the practice of raising a customer's interest rate because he was late paying a bill to someone else. Consider the teaser rate. More than a third of consumers pick one credit card over another based on which issuer has the lowest introductory interest rate. And yet people often do so in a way that leaves them with higher finance charges over time. In one study, University of Maryland economists Haiyan Shui and Lawrence Ausubel watched people pick a card with a teaser rate of 4.9% for six months over a card with a teaser rate of 7.9% for 12 months. That would make sense if the people then paid off their balances within six months. But many didn't  the average balance for the year was $2,500, with plenty of folks paying more in interest charges than they would have had they opted for the other card, considering the rates on each spiked to 16%. Once we've got our card in hand, our behavior becomes riddled with irrationalities. In one experiment, Drazen Prelec and Duncan Simester of the Massachusetts Institute of Technology found that people were willing to pay twice as much for basketball tickets when they were using a credit card as opposed to paying cash. Credit-card spending just doesn't feel like real money. In another study, Nicholas Souleles of the University of Pennsylvania and David Gross of the consultancy Compass Lexecon calculated that the typical consumer unnecessarily spends $200 a year in interest payments by keeping a sizable stash of cash in savings or checking while at the same time carrying a credit-card balance. In our heads, the two don't line up. What we need to do, that argument continues, is frame information about how much credit cards cost in a way that really drives the point home. 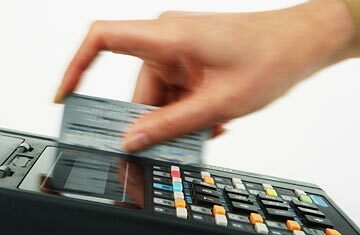 In 2007, a group of Senators introduced a bill that would have required credit-card companies to state on each billing statement how long it would take a person to pay off his balance and how much it would cost in principal and interest should he make only the minimum required payment each month. (That's another psychological trip-up: having a low minimum payment printed on the statement in a big font ratchets down our perception of how much we should be paying off, meaning we carry higher balances for longer.) That bill never went anywhere, but a similar provision is in the bill currently before the Senate. Economist Richard Thaler and legal scholar Cass Sunstein, who now heads the White House Office of Information and Regulatory Affairs, think we should go even further. In their book Nudge, they sketch a system in which once a year credit-card companies would be required to break out all the fees, interest and other charges customers paid over the past 12 months. That information would come on a person's statement as well as electronically for easier comparison shopping. "By knowing their precise usage and fee payments, customers would get a better sense of what they are paying for," write Thaler and Sunstein. Ostensibly, people would then spend more reasonably. When a new sofa goes from costing $500 to $700  and the pricing is transparent enough for people to realize that  fewer buy it. The beauty with that sort of system is that it doesn't impose heavy-handed rules on people who don't need them. After all, 42% of households with credit cards pay off their bills in full each month. Telling people the cost of using their credit cards, in a way they can understand and internalize, levels the playing field and lets each person make an informed, unhindered decision for himself. Read "How to Know When the Economy Is Turning Up." See pictures of the fallout from the financial meltdown.